One of the popular professional football players is named as Eden Hazard who plays for Premier League club Chelsea and Belgium National Team. He is a well-known celebrity in the world of football. He is best at attacking position and sometimes plays as a wide midfielder. Currently, he is playing for Chelsea. He started his youth career from local club Royal Stade Brainois and had played for other clubs including Tubize and Lille before moving to Chelsea. He has two Premier League titles, an FA Cup, a Football League Cup, UEFA Europa League title with Chelsea. He is the recipient of PFA Young Player of the Year for 2013-14, FWA Footballer of the Year in 2014-15, and FIFA World Cup Silver Ball winner in 2018. Eden Hazard was a key player in the Belgian team that finished third place, their best in the history, at 2018 FIFA World Cup in Russia. His Shirt number is 10. He is very talented and skilled player. 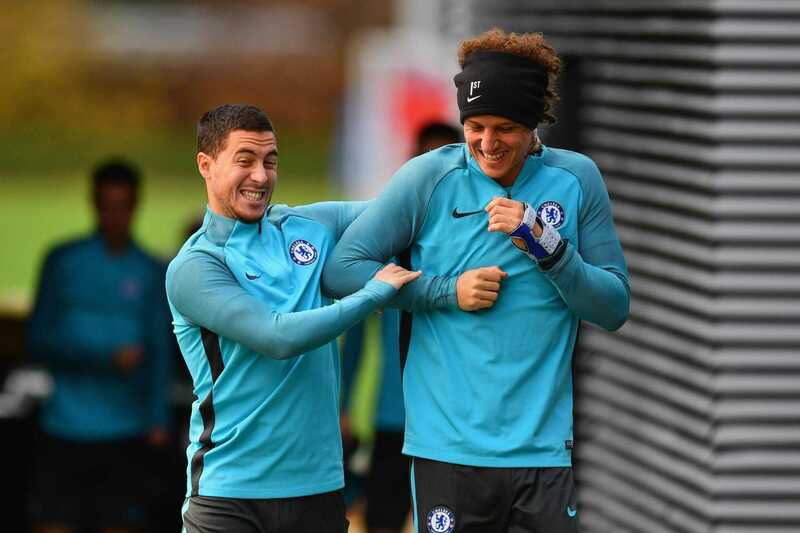 Chelsea fans are much more satisfied with Belgian attacking midfielder as Chelsea stands at third place in 10 games in the Premier League table. The 27 years old Hazard has already scored 7 goals with three assists in the league so far. He picked up an injury in a 2-2 draw against Manchester United last month. He has already missed three matches since then. 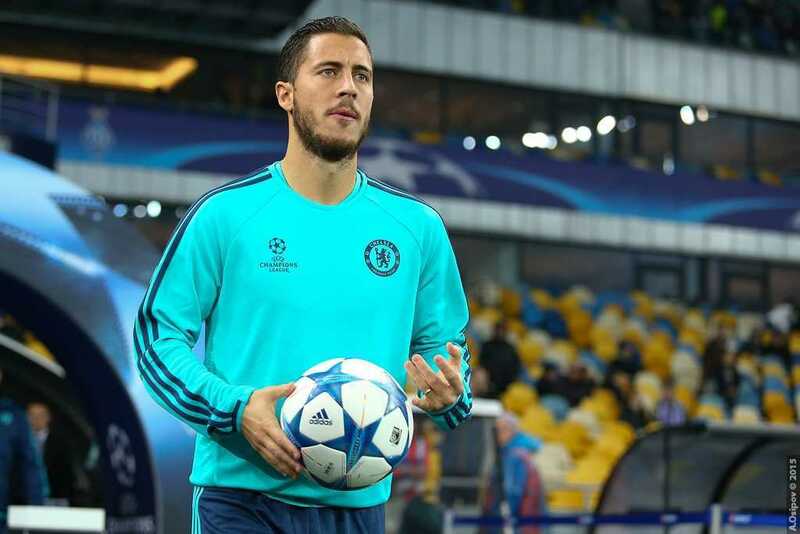 However, it is still uncertain that Hazard will start against Crystal Palace today. Eden Hazard was born on 7th January 1991. His full name is Eden Michael Hazard. His birthplace is La Louviere, Belgium. His father name is Thierry Hazard who was midfielder and mother name is Carine Hazard who was a striker in Belgium women’s first division. His nationality is Belgium. His astrological sign is Capricorn. His is the professional football player of Belgium. He is from Belgian ethnicity group. Eden also has three brothers named Thorgan Hazard, Kylian Hazard, and Ethan Hazard. All of his brothers are also football players. In 2005, he joined Lille. Initially, he played for their youth system. He was promoted to club’s reserve team in the start of 2007-2008 season. he made his debut on 1 September 2007. In the 2008-2009 season, he was promoted to senior team permanently. He goal his first career goal. In 2009-2010 season, he made a positive note in the first competitive match of the season. he was given the UNFP Player of the Month. He was nominated as the UNFP Ligue 1 Player of the Year award. In the 2010-2011 season, he featured in the six league matches and UEFA Europa League. He was also named as UNFP Player of the Year becoming the youngest player. He was also rewarded in a place in the organization's Team of the Year for second consecutive season. In the 2011-2012 season, he made his UEFA Champions League debut. He also recorded his first professional hat-trick. He won Ligue 1 and Coupe de France at Lille. On 4 June 2012, he was officially signed by Chelsea. On 18 July, he made his Chelsea debut. In the 2012-2013 season, he made his competitive debut for Chelsea and Champion’s League debut. He was in 2013 UEFA Europa League but later he was ruled out due to injury. In the 2013-1014 season, he was in 2013 UEFA Super Cup. He was named as one of the PFA Young Player of the Year. He was also voted as Chelsea’s Player of the Year. In the 2014-2015 season, he became the only player who has taken more than 15 penalties. He was also voted as Chelsea’s Player of the Year. In the 2015-2016 season, he was in Champions’ League group stage match. In the 2016-2017 season, he opened the Premier League Match. He was named as Premier League Player of the Month for October. In the 2017-2018 season, he entered in the 2018 FA Cup Final. Hazard has successfully won two Premier Leagues in 2014-15 and 2016-17, an FA Cup in 2017-18, a Football League Cup in 2014-15, and a UEFA Europa League in 2012-13 with Chelsea. He has acquired several individual awards at Chelsea. Some of them are Premier League Player of the 2014-15 season, 2013-14 PFA Young Player of the Year, 2013-14, 2014-15, and 2016-17 Chelsea Player of the Year, and FWA Footballer of the Year. Initially, Hazard represented Belgium at different age levels including U15, U16, U17, and U 19. Hazard was part of the U17 team that finished third in the 2007 UEFA European U17 Football Championship. In 2008, he was called up to Belgium senior team. In 2014, he was named in 2014 FIFA World Cup. He was also named as captain for UEFA Euro 2016 finals. In both occasions, Belgium was eliminated in the quarter-finals. In 2018, he was named as captain of Belgium national team for the 2018 FIFA World cup in Russia. Belgium achieved their best run in the World Cup history, as they finished third defeating England. He was named the second best player of the tournament. He was awarded a silver ball. He made three goals and provided two assists. Eden Hazard is a married man. He married with his longtime girlfriend Natacha Von Honacker in 2012. The couple is blessed with three children named Yannis Hazard, Samy Hazard and Leo Hazard They seem to be very happy. The estimated net worth amount of Hazard is $101.3 million and his weekly salary is 185k euro. He has sponsorship deals with Nike. He has also endorsed Belgium based Lotus Bakeries. He is also the part-owner of North Amercian Soccer League franchise San Diego 1904 FC.